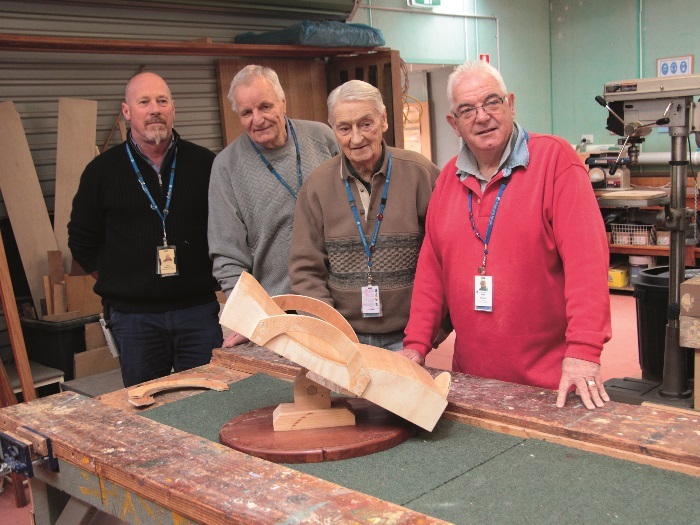 Justin Felix checked in with Frankston Men’s Shed in Victoria’s South East to find out what makes them tick, including a couple of special projects they are engaging in with a view to help alleviate the fears of sick children. I must confess that prior to joining the ManSpace team I hadn’t heard of the Australian Men’s Shed Association (AMSA), let alone seen any Sheds around the place. As I have grown into the role and ManSpace continues to be more involved with AMSA, becoming their official media partner, a sense of community pride comes over at the thought of visiting these wonderful spaces on a regular basis. I think it’s important to recognise that it isn’t the physical sheds themselves, but the people who fill them that that make these spaces so important. The sheds promote conversation, social interaction and sharing of knowledge. They offer the opportunity for men to share skills and life experiences while learning from others. Most Men’s Shed members are either semi or fully retired so they bring a wide range of vocational knowledge and a lifetime of training. I like to think of them as classrooms for older gentlemen. The only difference being that everyone is a teacher and everyone is a student. This recognition was further highlighted during my recent visit to the Frankston Men’s Shed. John walks me through the space, which isn’t overly large compared to some of the other sheds I’ve visited around the country but what it lacks in size, it certainly makes up for in diversity. The wood working area is well equipped with 4 or 5 work benches set up with vices and a range of hand tools that most cabinet makers would envy. There’s enough room for 10 or so people to work at a time. Towards the back of the room is the powered section equipped with band saws and the like. The walls surrounding both areas are well organised with hand tools, screws, paint tins and raw materials making the place feel like a proper workshop. But there’s more to this place than just wood working. The morning tea room doubles up as a kitchen and for good reason too. The shed operates a men’s community kitchen once a week where men can come and test their cooking abilities before sitting down together to enjoy the meal. The veggie patch adds to the diversity to the shed and while I’ve heard of a few sheds with community gardens around the place, this was the first I’d come across in person. Several garden beds play home to lettuce, tomatoes, chillies, silver beet, spring onions and myriad other goodies. A greenroom sits proudly in the middle of the garden where seedlings and other immature plants are cultivated in pots until their ready to be planted in the ground. Garry is the gardening guru of the bunch and explains that it’s his favourite part of the shed. 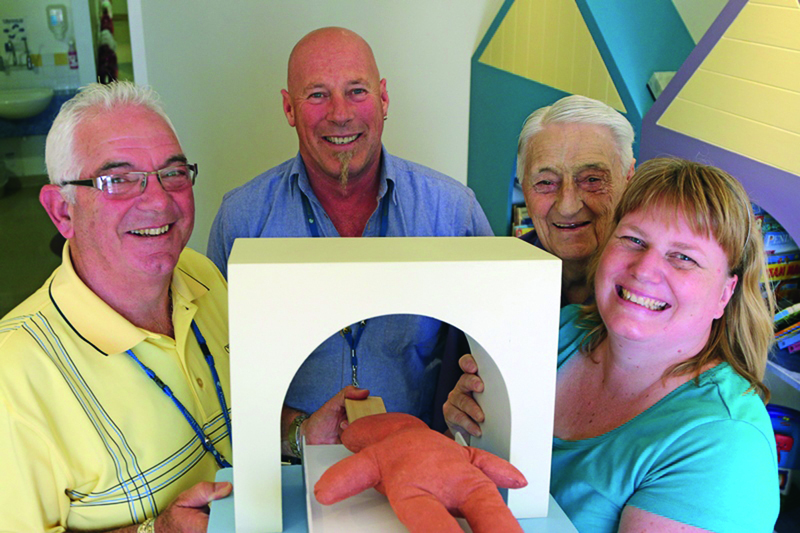 Being that the shed is funded by Peninsula Health, the adjoining hospital; a recent project has seen the creation of a wooden MRI machine model to help children understand what’s involved with the scan. The Shed was approached by educational play therapist Natasha Hund in an attempt to help prepare children for medical treatments and procedures, including MRIs. As you can imagine, having to go through such a procedure can be incredibly daunting for anyone, let alone children. Feedback has been extremely positive and as a result the Shed was approached with a similar idea in mind. During my visit I was shown a glimpse of a wooden dental chair, the first of three to be donated to Dental Health Services around southern Victoria, the first of which is being built for Peninsula Health. Members have collaborated to put some initial sketches together before getting to work on the movable dental chair which is the first of three that the Shed has been commissioned to build. “It’s great to be able to give back to the community and our members jump at the chance to be able to help children overcome certain anxieties they may associate with various procedures they are about to face. We hope these dental chairs can aid play therapists in their quest to encourage children not to be afraid. It also provides the guys that are building them with a real sense of achievement which is equally important,” John says. The Shed receives donations from various community groups and members to help facilitate with projects and general day-to-day activities, with one particular community member going above and beyond to ensure the Shed is able to operate at its full potential. “Being in this role has really opened up my eyes to some of the amazing people in the community,” John says. “One gentleman is constantly providing us with things we would otherwise struggle to find funding for. For example, after a recent visit, he noticed our microwave was on its last legs and without asking he turned up a few days later with two brand new ones. He even bought us a wall oven. “If that wasn’t enough, after a conversation regarding a lack of storage, he donated a shipping container which now sits beside the shed and houses most of our raw building materials. 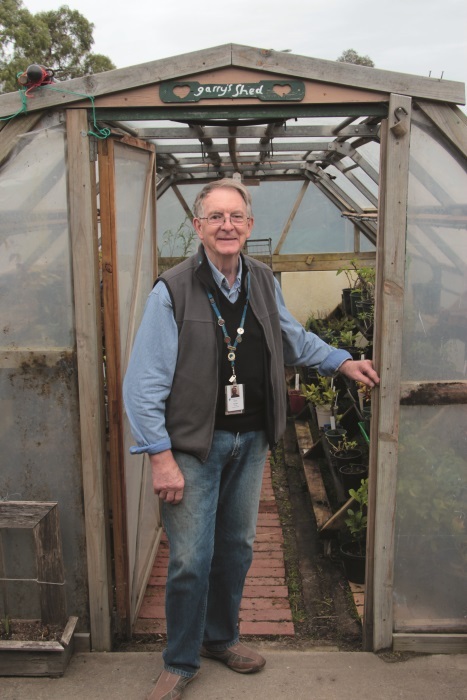 He isn’t a member of the Shed, he just admires what we do and does what he can to help out,” John says. That’s the kind of generosity a Men’s Shed brings out of people and if you haven’t stepped into one, I strongly suggest you make the effort to do so. It will really open your eyes to the good in people, especially during a time when all you read about and see on the news is negativity.